Last week, I finally did the decent thing. I took The King’s Ginger back to where it truly belongs. 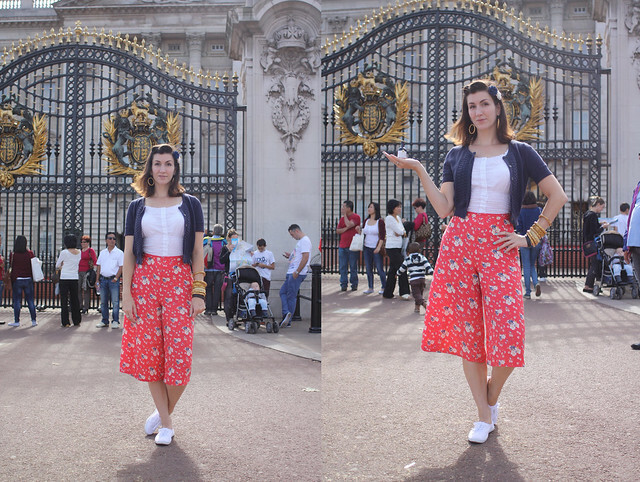 To visit the Queen in Buckingham Palace! Buckingham Palace hasn’t always been a royal residence. After its humble(ish) beginnings as a townhouse for the Duke of Buckingham in 1705, a few decades later in 1761 it became a private house for Queen Charlotte, spouse of George III. It wasn’t until 1837, and the coronation of Queen Victoria, that it became an official royal palace. There, Victoria and her beloved Albert started their family: their nine royal offspring consisted of five princesses and four princes. The second child to be born was, of course, Prince Albert Edward; later (much, much later) to be known as Edward VII. 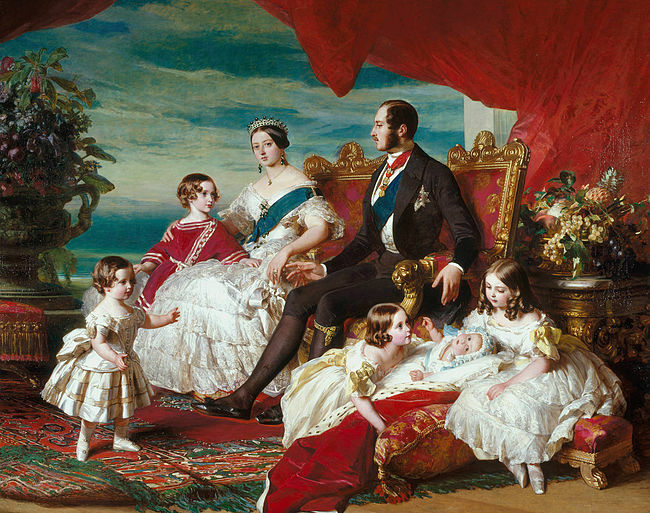 Winterhalter portrait from Wikipedia – Albert Edward is in red on the right of Victoria. Nice frock Prince Albert is wearing on the far left though. The family portraits and paintings of each of the royal children were all gorgeous, but my favourites were those of the princesses by court painter Franz Winterhalter. Here’s Princess Alice, looking amazing, and probably not out of place at a modern-day festival. As mentioned earlier, taking photographs inside the Palace is expressly forbidden as you might expect, meaning that I have little option but to locate these pictures elsewhere online! 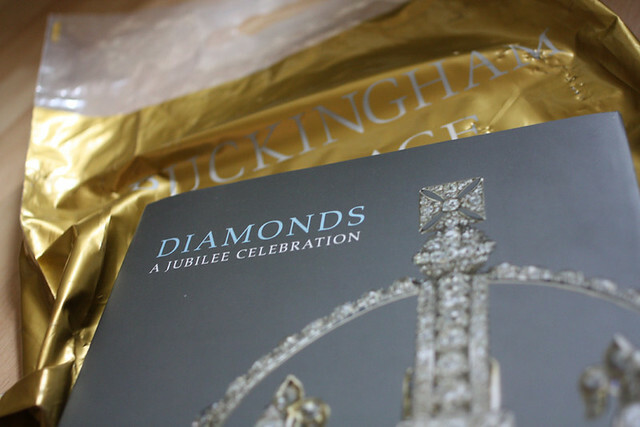 Not a plastic bag and a book (that would be silly), but the amazing Diamonds exhibition! It was amazing. Everything in its glass cases was priceless and unbelievably exquisite (although quite often rather ostentatious, but wouldn’t you if you were a monarch) especially its pièce de résistance…. The Cullinan Diamond in its original and uncut form of 3,106 carats, was discovered in 1905, right in the middle of King Edward’s reign, and is the largest diamond ever found. From its birthplace in the mines of Pretoria, South Africa, it was transported to London and inspected by the King, before being given to him two years’ later as a token of loyalty. The Cullinan Diamond was noted for its exceptional purity and fabled blue-white colour… and when the powers-that-be decided it should be cut, given the rather rudimentary tools available at the time, it’s no surprise that it took weeks and weeks for the chosen (Dutch)man Joseph Asscher to even make the first cut. Poor man must have been sweating buckets. 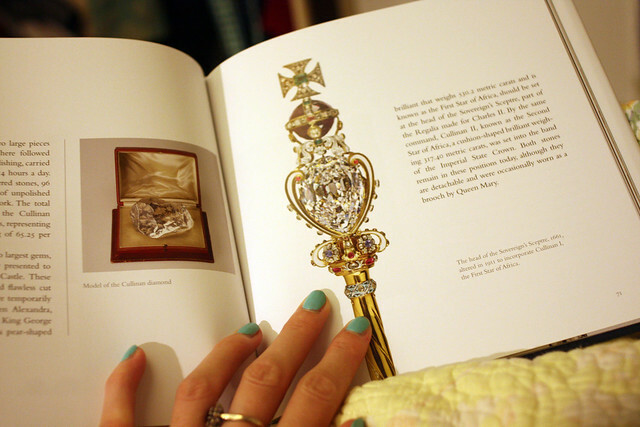 The largest stone, Cullinan I, weighs over 530 carats, is pear-shaped and is usually set into the Sovereign’s Sceptre, as seen above. Poor old Edward only owned Cullinan I and II (a cushion-shaped 317-carat stone now set into the Imperial State Crown) for a year – from 1909 till his death in 1910. 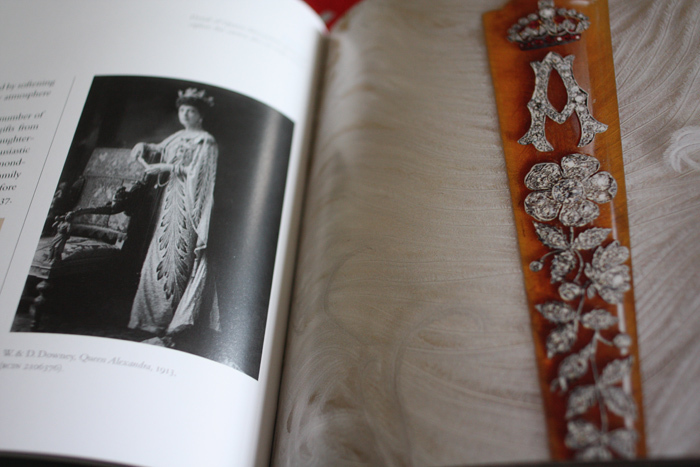 During that time, Queen Alexandra wore them as an astonishingly large brooch. The cutting firm, Asscher’s kept a hold of the stones numbered III-V and VII-IX, while Edward kept number VI and gave it to his beloved Alexandra as a gift. But upon the King’s death in 1910, they were all presented to Queen Mary, mounted in different ways over the years, and have all been seen on various royal personages since, including the Queen. Other interesting Edward VII memorabilia is the Jaipur Sword and Queen Alexandra’s diamond-studded ostrich-feather fan, which is in such perfect condition it doesn’t look real. There’s far more there than I can sum up in one blog, but I can’t recommend this glittering treat of an exhibition enough! And, when you’ve finished looking around, there’s still plenty more of the State Room tour to finish. 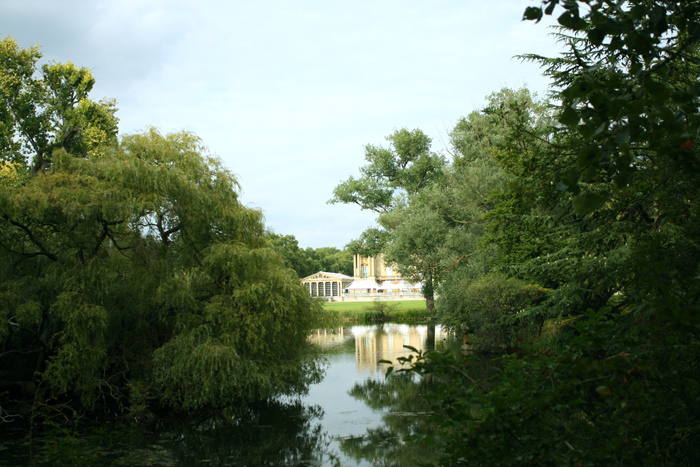 Finally, you take a meander through the gardens, where you are allowed to photograph – not that pictures of me can really compete with the glory of Buckingham Palace and its grounds. Thanks for having me though, ma’am. It was an honour to bring some King’s Ginger back to its namesake’s actual birthplace. I’m glad they didn’t find the miniature in my bag though, as I don’t think I’d actually have been allowed to take it in. Holy airport-style security, Batman! Offered some to the tiny guard above my left shoulder. Don’t think he heard me. Thank you for the tour. London is one of my favourite places to be. 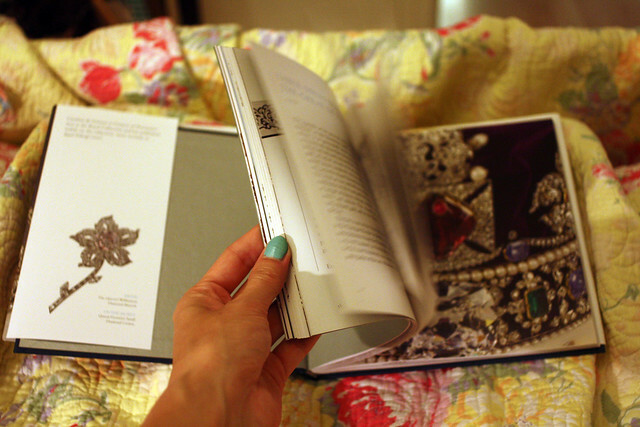 I loved you blog and style. I love the 30, 40 and 50 and confess that some of my choices on outfits are made to resemblance that era. 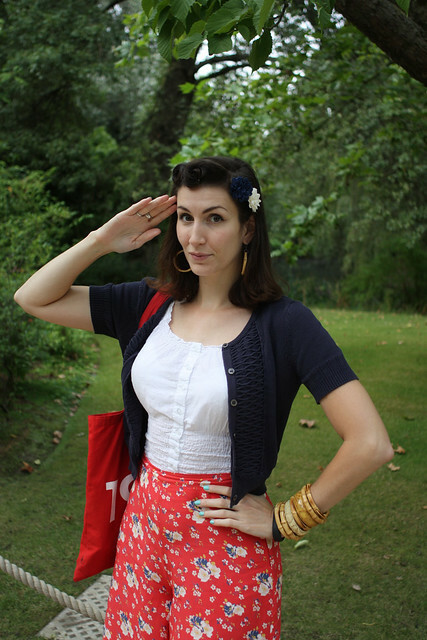 I’m from Lisbon and it is difficult to get some real vintage clothing from that time. We have more offers in clothing from the 60 and 70. I will retour to your blog. I appreciated the fabulous pictures and interesting information. I’ve discovered the Chap magazine and it’s a delight! I must confess that I was proud to see some vintage Portuguese products for man in there. Some people in Portugal are trying to revive and maintain some of the traditional companies and business preserving their vintage style, because is in fact very unique. Congratulations on or blog and your work! Thanks for sharing the tour experience.Nice blog! I wish you to post the new updates regularly. 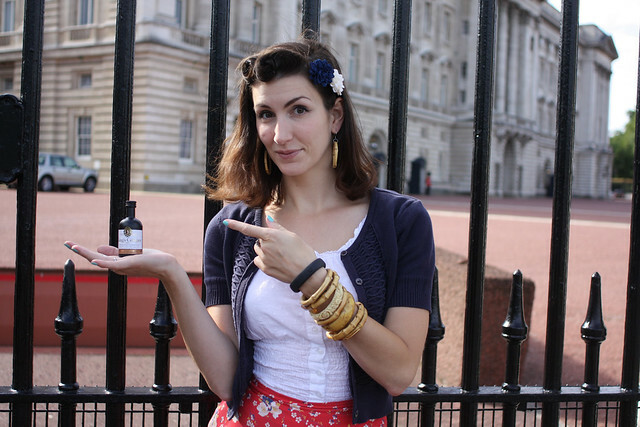 Lovely post, as always, about your King's Ginger adventures. Thanks for your sharing! Through reading your posts,it seems I have a experience in the palace in reality.